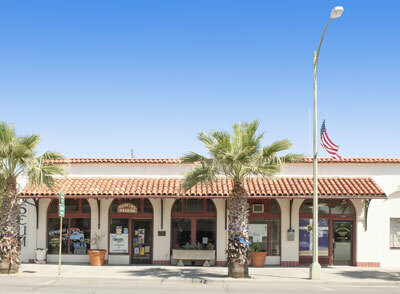 Built in April 1899 by Charles F. Foster, former two term sheriff of Tehama County, and Warren Woodson. 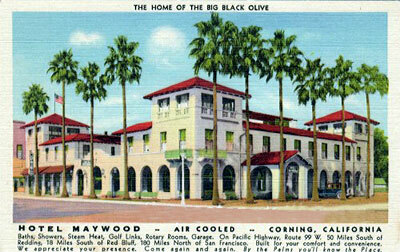 The Hotel Maywood was the best hotel in Corning, located conveniently one block from the railroad depot and across the street from the Maywood Colony Land Office. Originally two stories, the top story was lost to fire. 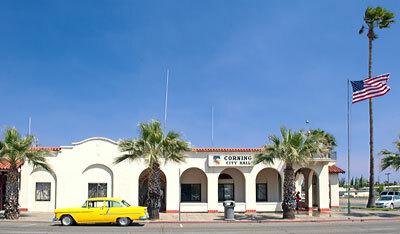 Today the old hotel houses Corning City Hall, the Police Department, Chamber of Commerce, and Museum. Baths, Showers, Steam Heat, Golf Links, Rotary Rooms, Garage, On Pacific Highway, Route 99 W, 50 Miles South of Redding, 18 Miles South of Red Bluff, 180 Miles North of San Francisco. Built for your comfort and convenience. 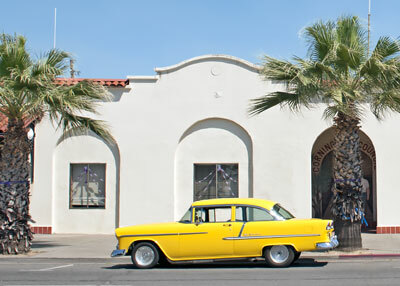 By the Palms you'll know the Place.